C-GLCO at Biggin Hill - EGKB, United Kingdom. C-GLCO docked on the / la Petite Déscharge, Alma, Québec. C-GLCO at Baie Comeau - CYBC, Québec. • G304 Ghana Air Force. Delivered 21-Jul-1961. Based at Takoradi Air Base. • (CF-ZFK) Lambair Ltd. ,The Pas, MB. Registration allocated 21-Apr-1971. ntu 30-Apr-1971. Note: The following registrations were allotted to Lambair Ltd., The Pas MB. on 21-Apr-1971 who were considering a deal to purchase seven of the Ghanaian Otters. However, the deal did not proceed and the allotment was withdrawn by Department of Transport 30-Apr-1971 after. See notes below. 418 CF-ZFJ, 420 CF-ZFK 422 CF-ZFL, 424 CF-ZFM 428 CF-ZFN, 430 CF-ZFO, 431 CF-ZFP. • G304 Ghana Air Force. Continued in service until withdrawn in 1973. • N17681 Joseph V. Masin, Rodenkirchen, West Germany. Regd 23-Jun-1974. Canx date unknown. • C-GLCO Air Craftsmen Ltd., St. John, NB. Dates unknown. • C-GLCO Nova Leasing Company Ltd. Oct-1974. • C-GLCO Leased to Horizontes SRL, La Paz, Bolivia and later based in Peru. Dates unknown. • C-GLCO Kipawa Air Service Inc., (later re-named Air Kipawa Inc), Kipawa, QC. Canx 06-Sep-1985. Total time: 4,541 hours at Jun-1980. • C-GLCO Air North Bay Inc., North Bay, ON. Regd 28-Jul-1986. Canx 17-Aug-1989. • C-GLCO Air Kipawa Inc., Kipawa, QC. Regd 28-Jan-1990. Canx 27-Apr-1990. Incident. Lac Atil, QC. 18-Sep-1990. It made an emergency landing after smoke appeared in the cockpit. 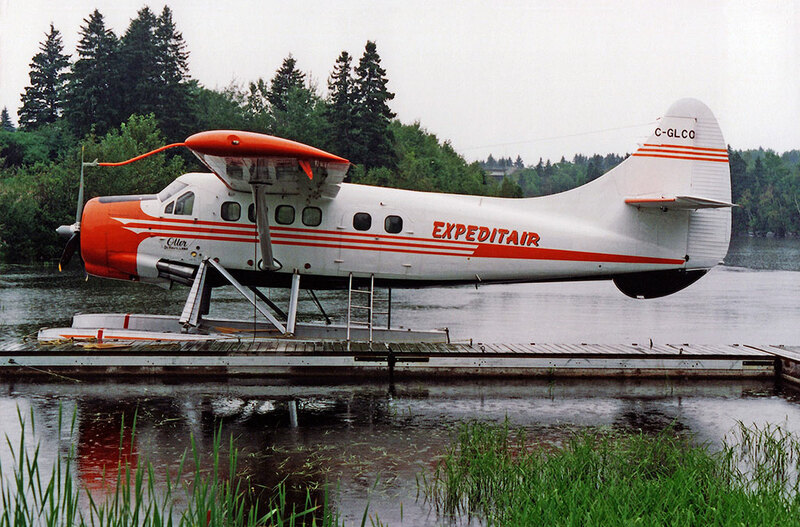 • C-GLCO Expeditair (1989) Inc., Alma, QC. Regd 20-May-1993. Canx 07-Mar-1995. Accident: Lac a la Peche, 08-Jun-1994. On final approach over trees, a sudden gust of wind caught the aircraft. The pilot endeavoured to regain control of his machine, but in vain. The aircraft alighted heavily on the water, damaging the floats. The right wing also touched the water and the aircraft came to rest at the side of the lake. Damage included the floats, struts and both wings and the fuselage, which was twisted in what was a very heavy landing. • C-GLCO Air Saguenay (1980) Ltd., Chicoutimi, QC. 07-Mar-1995. • C-GLCO On lease to Northern Lights Air Service Ltd., Goose Bay, NL Regd 01-Apr-1996. Canx 19-Sep-1996. • C-GLCO Air Saguenay (1980) Ltd., Chicoutimi, QC Regd 13-Sep-1996. Canx 14-Apr-1998.In April 1998. • C-GLCO Labrador Air Safari (1984) Inc., Jonquière, QC. Based Baie Comeau, QC, Regd 07-Jun-2004 also an associated company of Air Saguenay. Power plant. Now fitted with Texas turbine. Conversion # 23. Otter 420 was delivered to the Ghana Air Force on 21st July 1961 with serial G304. It was the fifth of an order for twelve Otters, all of which were packed into crates and shipped to Ghana where they were re-assembled and entered service. The Otters were based at Takoradi Air Base. During 1970 Lambair of Manitoba negotiated with the Ghana Air Force with a view to purchasing a number of their Otters, including 420, and marks CF-ZFK were reserved but no deal was concluded and G304 remained in service with the Ghana Air Force. The Otters were withdrawn from service in 1973 and put up for sale. As explained in relation to number 418, eight of the Ghana Air Force Otters were acquired by brokers Masin Aircraft of Cologne and Otter 420 was registered to Joseph V.Masin of Rodenkirchen, West Germany as N17681. These eight Otters together with a former US Army Otter which Masin Aircraft had acquired (189) were sold to Air Craftsmen Ltd of St.John, New Brunswick, a company which specialised in buying, refurbishing and selling on ex-military Otters. On 26th April 1974 Air Craftsmen Ltd., reserved Canadian marks for all nine Otters, although some of these were not taken up and the aircraft ferried to Canada using their American registrations. 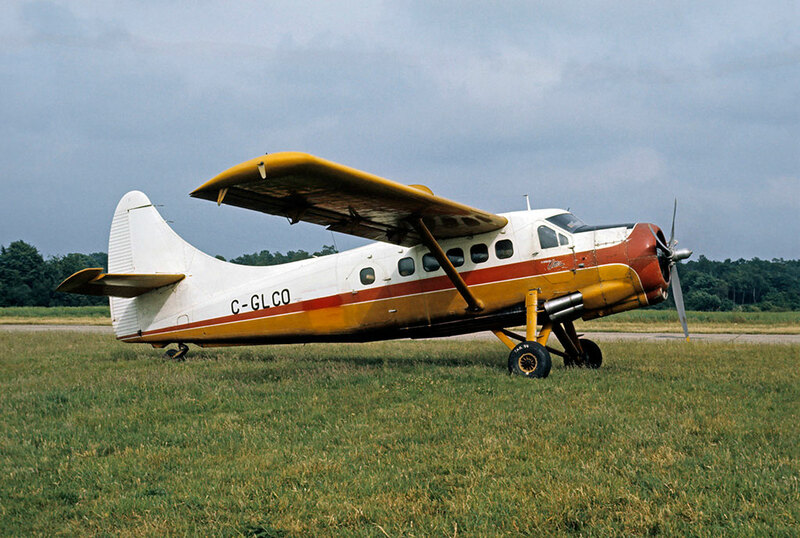 Otter 420 did however take up its Canadian marks of C-GLCO and together with C-GLCT (430, ex G310 of the Ghana Air Force) it routed from Gibraltar to Marseille on 15th June 1974 in the course of the ferry flight up from Africa. On 17th June both Otters arrived at Biggin Hill airfield near London. Also arriving at Biggin Hill that day from Germany was Otter C-GLCV (189), the former US Army Otter which Air Craftsmen Ltd., had bought from Masin Aircraft. All three Otters were fitted with ferry tanks for the trans-Atlantic crossing at Biggin Hill and departed together for Prestwick, Scotland on 21st June 1974. They then continued together across the Atlantic, via Iceland and Greenland to the Air Craftsmen Ltd., base at St.John, New Brunswick. Here C-GLCO was overhauled and civilianised and in October 1974 was sold to Nova Leasing Company Ltd., and went on a contract in South America, on lease to Horizontes SRL, La Paz, Bolivia and later based in Peru. 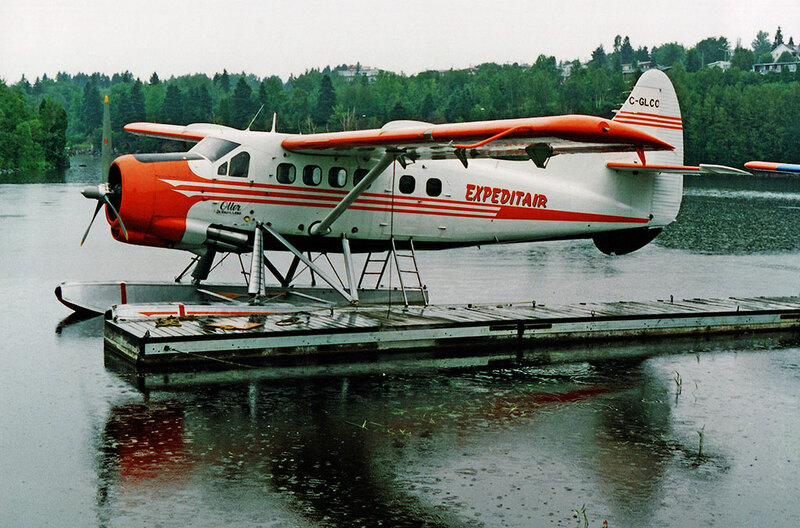 The following year it was sold to Kipawa Air Service Inc., (later re-named Air Kipawa Inc) of Kipawa, Québec who took delivery of the Otter in Peru and ferried it all the way to Kipawa in a month-long ferry flight. It entered service based out of Kipawa and by June 1980 had 4,541 hours on the airframe. As well as the usual charters for hunters and fishermen, the Otter was much used in the north of the province by Québec Hydro and Societe d'Energie de la Baie James. In July 1986 it was registered to Air North Bay Inc., of North Bay, Ontario, a company associated with Air Kipawa and then registered again to Air Kipawa Inc., in January 1990. In June 1990 it was sold to Air Wemindji Inc., of Wemindji, Québec. It made an emergency landing at Lac Atil, Québec after smoke appeared in the cockpit on 18th September 1990. 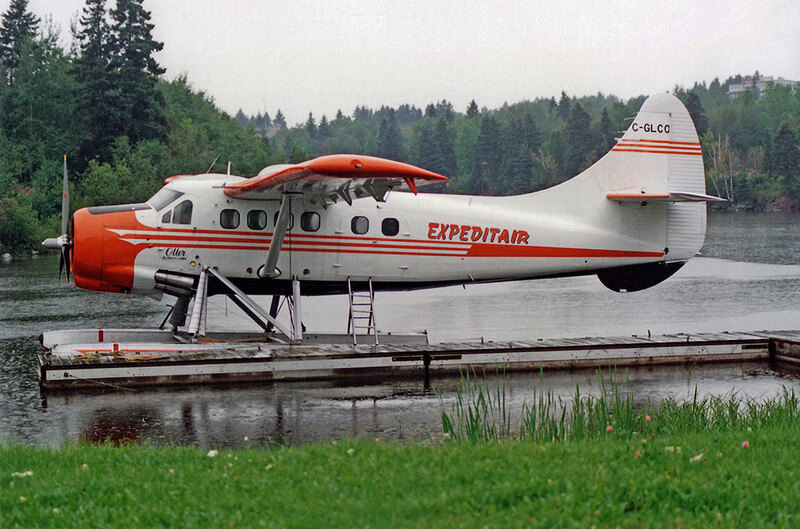 The Otter continued flying for Air Wemindji until registered to Aviation Portneuf Ltée., of Lac St.Augustin, Québec in March 1993 and then to Expeditair (1989) Inc., of Alma, Québec in May 1993. While flying for this company it suffered an accident at Lac a la Peche on 8th June 1994. On final approach over trees, a sudden gust of wind caught the aircraft. The pilot endeavoured to regain control of his machine, but in vain. The aircraft alighted heavily on the water, damaging the floats. The right wing also touched the water and the aircraft came to rest at the side of the lake. Damage included the floats, struts and both wings and the fuselage, which was twisted in what was a very heavy landing. Following rebuild and sale, C-GLCO was registered on 7 March 1995 to its new owners Air Saguenay (1980) Ltd., of Lac St.Sébastien, Québec and entered service as part of their large Otter fleet, continuing to serve the Québec bush country. It went on lease to Northern Lights Air Service Ltd., at Goose Bay, Labrador for the summer of 1996 (registered to that company 1 April to 13 September 1996) and was then registered to and operated by Air Saguenay. In April 1998 it was transferred to Ashuanipi Aviation Ltd., of Wabush, Newfoundland, an associated company of Air Saguenay and was painted into Ashuanipi colour scheme. It was registered to Ashuanipi Aviation on 14 April 1998. An incident was recorded on CADORS on 8 August 2000, involving Otter LCO of Ashuanipi Aviation, The pilot requested Special VFR for departure and was advised this was unavailable. Ceiling was 400 feet overcast, with visibility reduced in light rain showers and mist. A few minutes later LCO observed departing low level northbound up Big Wabush Lake. The Otter departed without Special VFR authorisation and no calls on the mandatory frequency while an IFR flight was in the zone on final approach to runway 01. 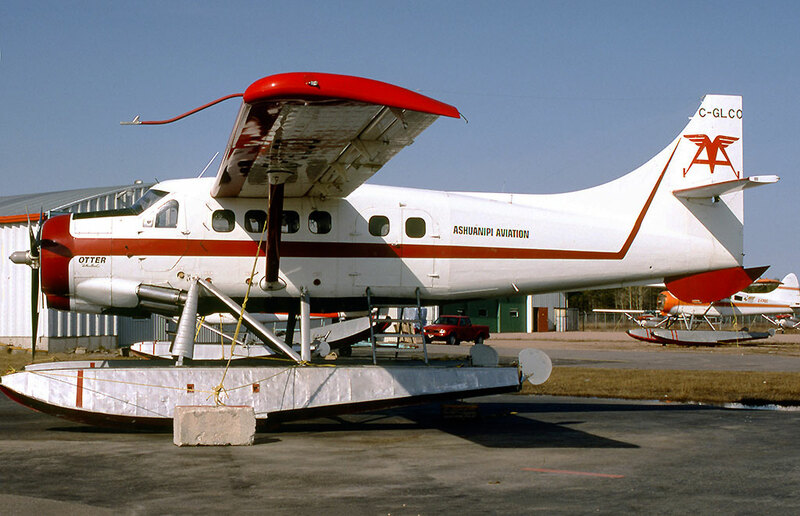 Otter LCO remained registered to Ashuanipi Aviation until 7 June 2004, on which day it was registered to Labrador Air Safari (1984) Inc., of Jonquière, Québec which was also a company associated with Air Saguenay, whose fleet of Otters flew from Baie Comeau, Québec. 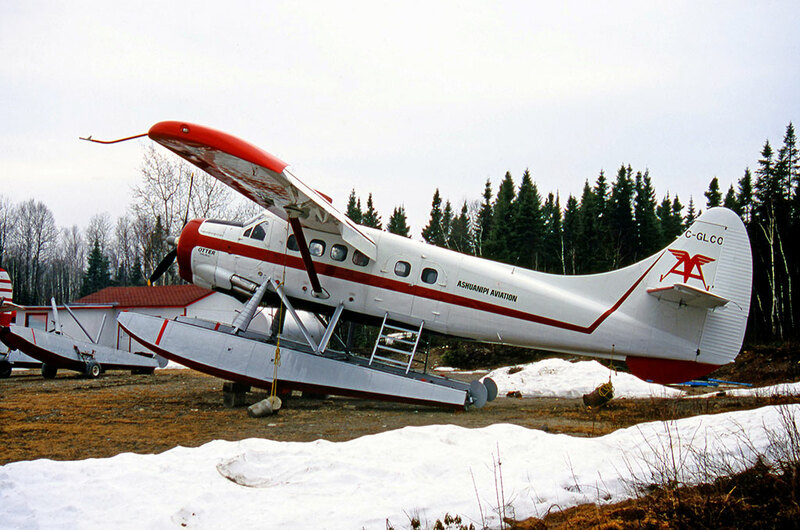 On the same day, two Beavers, the only other members of the Ashuanipi Aviation fleet, were also transferred to Labrador Air Safari and Ashuanipi Aviation was closed down. LCO flew for Labrador Air Safari, painted in their colours, as a piston Otter for summers 2004 and 2005. Another incident was recorded on CADORS on 28 October 2005. LCO, on floats, was conducting a VFR flight to Lac Gibier, a mile south west of the Labrador Air Safari base at Baie Comeau. The pilot reported when he was inbound for the lake from the east, and received an advisory service. However, he did not report on finals, nor that he had landed on the lake. 6 June 2006 at Goose Bay, Labrador. A communications search was conducted for the Otter which had filed a VFR flight plan to Otter Creek at Goose Bay but had not reported on arrival. The RCMP located the Otter the following day and confirmed it had arrived safely. 27 April 2007. Otter LCO landed on runway 23 at Chibougamau/Chapais without radio contact. At the same time flight CRQ927 of Air Creebec was on finals to runway 05 and it landed a few minutes after the Otter, which had experienced radio trouble. On 9 March 2010 C-GLCO was registered to Air Saguenay (1980) Inc, as were all the Otters of Labrador Air Safari but they remained in Labrador Air Safari colour scheme and flying for that company. 23 April 2012. C-GLCO was flying from Rainy Lake to Schefferville. When landing on runway 18 at Schefferville, the propeller grazed the ground. The pilot immediately stopped the aircraft on the runway and ground personnel towed it to the main terminal. It turned out that there was no damage to the aircraft. As at summer 2018 C-GLCO remained in service with Labrador Air Safari.